Okay, okay – we know that this album came out in September this year, but there’s every chance that you may very well have overlooked it. Though Scottish singer KT Tunstall hasn’t really experienced too much success here in Australia – save perhaps for her 2005 single ‘Suddenly I See’ – her popularity across the other side of the world has remained rather constant, with her latest album ‘Tiger Suit’ becoming her third top five album there on its release a couple of months back. 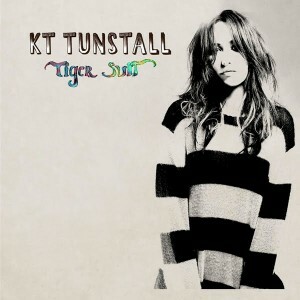 So… just in case you missed it… The team at EMI asked us whether or not we’d like five copies of KT Tunstall’s latest album ‘Tiger Suit’ to give away to you. Of course, we jumped at it – ’cause we know how you like free stuff and all. To enter this competition, simply send us an email containing your name and postal address to auspOp@ymail.com with the subject line ‘KT2Go’ and you’ll be in with the chance to win. Madness. Competition closes at 11:59pm AEDST on Thursday December 02, 2010. One entry per household. Winners drawn entirely at random using a highly sophisticated raffle ticket in a box system. Five lucky winners will each receive a copy of the KT Tunstall album ‘Tiger Suit’ with thanks to the good folk at EMI. * Please note that in this instance, we WILL need to pass on your postal address to the team at EMI solely for the distribution of the prizes. Your email address will NOT be disclosed. Your privacy is of the utmost importance to us. As always. And have you noticed how we simply cut and pasted these Ts&Cs from the previous giveaway? It’s a bit slack of us, we know.